The board of MAN Diesel & Turbo has approved the company’s take-over of Kappel propeller - including designs, software, and intellectual property together with continued co-operation with Mr Jens Julius Kappel. New fuel-saving and energy-efficient propulsion opportunities are available from the MAN Alpha propeller programme, which now fully integrates the Kappel tip fin propeller blade designs for both controllable pitch propellers and fixed pitch propellers. Optimised propeller and propulsion efficiencies contribute to lowering the EEDI (Energy Efficiency Design Index) of ships, as every gram of fuel saved by means of higher propulsive efficiency results in more energy-efficient transport – like in this case with up to 6%. 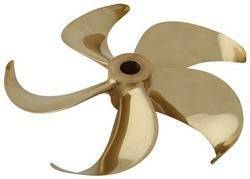 Compared to conventional designs, the Kappel propeller blade designs offer fuel savings by up to 6%. And it has to be noted that this improvement with the Kappel design is related to the blade design alone, thus not relying on improvements with other components – such as e.g. a rudder bulb integrated with propeller and rudder.